Read what our guest say about us and then ask us for a reference! We had an amazing time and everyone was extremely great in every way imaginable. My father and I were extremely impressed with the hunting and the whole way everything was run and put together. I can say without a shadow a doubt that my father and I will definitely be thinking about returning at some point in the future. Every part of our trip exceeded expectations by more than we would have ever assumed. thank you very much to you and your staff. Justi and his staff provided me with a wonderful hunt and first class service. The guides and staff were so accommodating to all the needs of everyone in my group. The number of ducks we killed was 372 and the perdiz numbered 90. I don’t know what more I could have asked for. I have hunted for whitetail deer in Saskatchewan, Anticosti Island, Michigan, and Texas. I hunted waterfowl and upland birds in Mexico, Iowa, South Dakota, Kansas, New York and Canada. Wing Shooting Argentina was perhaps the best of all. Justi pays attention to all the details of your trip and his customer service is second to none. I told Oscar I would be sure and write you about our dove hunt. It was terrific!! Oscar, Ernesto, the La Pelada lodge staff were all exceptional. The whole hunting experience was so much fun. 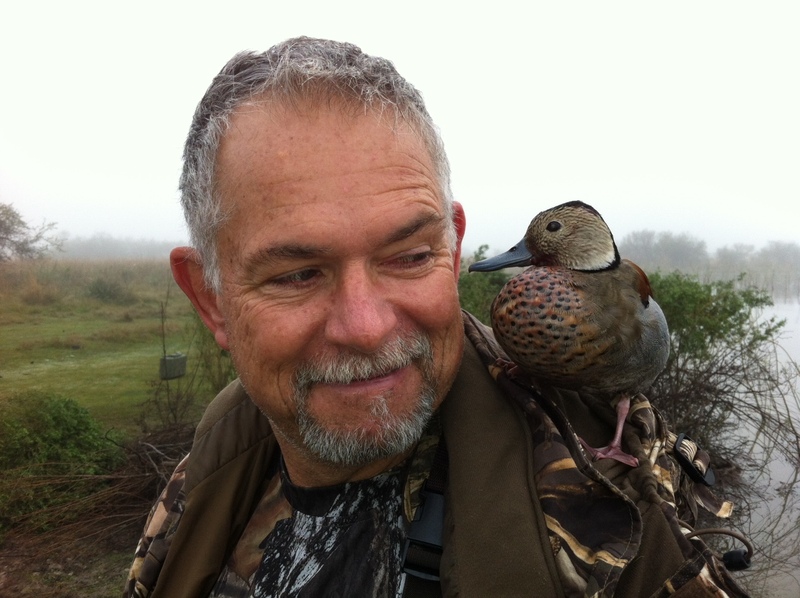 If there is anything I can do to help your dove hunting or dorado fishing in the way of a testimonial, or, reference for other hunters, do not hesitate to ask. This is coming from a guy who hunted doves in Cordoba two years ago. I had more fun and a better hunt with you. The flexibility may have been the very best part. We shot doves two days and the third day we were able to fish for Golden Dorado. They hit like linebackers and fight like Muhammad Ali! The food and service at the lodge and in the field were first rate. Ralph and I both feel the same way. The week before you booked us at Jurassic Lake where we caught many huge Rainbows. My biggest was 22 pounds! Wanted to let you know Drew and I had a wonderful time at La Pelada week before last. Oscar was a wonderful host and guide as were Ernesto, Agusto and Guscon (sp?). All the staff and guides were wonderful, food was great, accommodations warm and friendly. We had a great time, couldn’t have asked for more. Thanks for all you help. I only hunted three days in the beginning of August and it was unusually warm. Everyone was commenting on the weather. 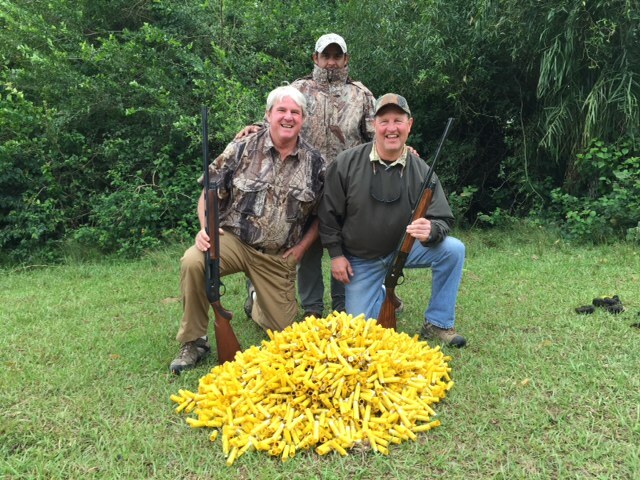 Day one – two of us duck hunted and shot 42 ducks in a two and a half hour hunt. A mixed bag of big ducks and Cinnamon Teal. We had lunch back at the estancia and did a short horseback ride along the river then drove about 25 minutes to a field for perdiz. Very challenging shooting as the wind was up but I shot a limit of 9 on about 15 flushes. I don’t ever shoot that well so returned feeling good about myself. Dog was very good but warmth and wind made it hard to get on the birds. I still think 15 flushes was pretty good. Day two – I duck hunted alone as friend was “overserved”. That happens to him frequently so it is not an indictment of the establishment! Shot 26 ducks on so-so shooting. 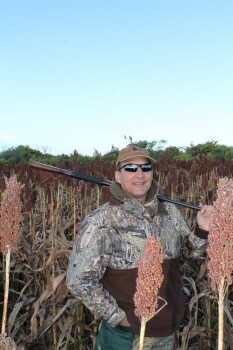 That afternoon the two of us drove about 40 minutes to a sorghum field to hunt pigeon. With some definitely poor shooting, we shot about 100 dove and 70 pigeon in four hours. Day three – the cold front blew through and the wind switched completely from the north to the south. Temp dropped 10 degrees celsius from the previous day. I hunted ducks again that morning by myself and only shot six ducks, two of which were eaten by an eight foot caimon. Almost no birds flying. returned to the estancia and we took a long horseback ride across the entire property. Duck hunted again that evening and the two of us shot 46 ducks, most of them teal. Maybe my favorite duck hunt of all time as I love the way teal dive in. 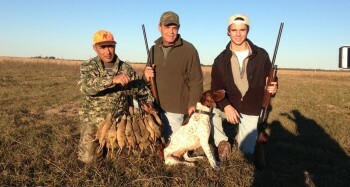 We ended up about 25 minutes before sundown and could have shot another dozen if allowed. The estancia is beautiful, accommodations very comfortable, meals are fabulous and plentiful. You eat family style and the conversation is great. All meals include local birds and meat cooked on the open fire. Lots of red wine, cocktails. Oscar is a fabulous host and works hard to make sure your needs are met. 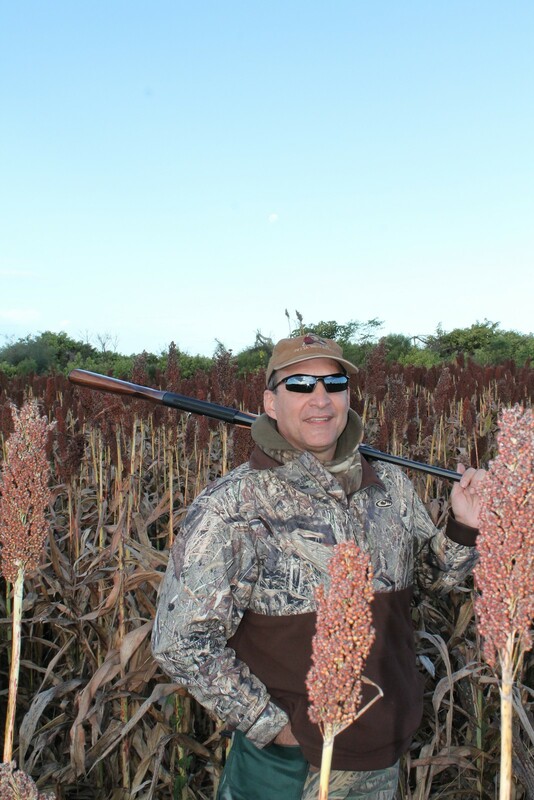 Duck hunting can literally be a five minute walk from the estancia and never more than a 10-12 minute drive. Allows you to wake up late, eat breakfast and go hunting. Drives to upland game are not difficult. We used their guns, 20 gauge for upland and 12 gauge for ducks. No problems with either. All we needed were hip boots but they provide waders on site. I highly recommend as I will hopefully return many times in the future. Feel free to ask me any other question. 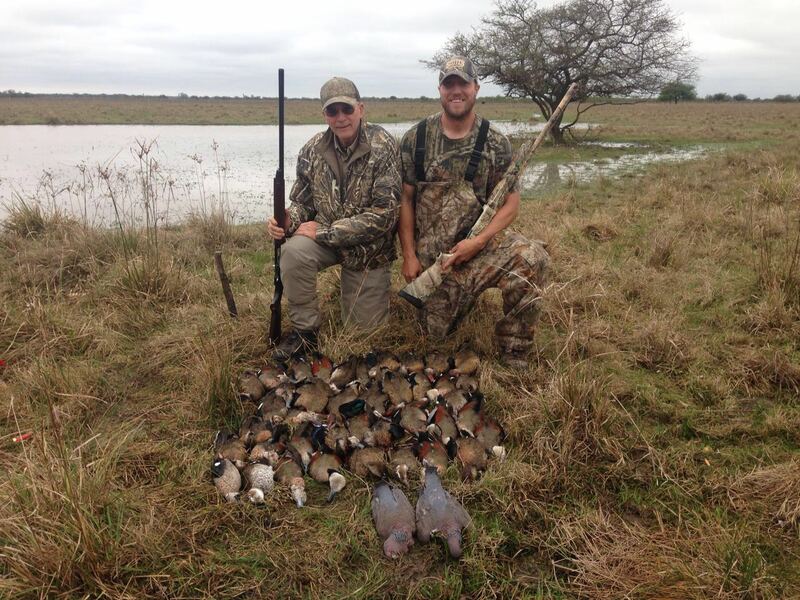 I have hunted Paraguay twice and Argentina 4 times in Cordoba and La Paz and I would rate my experience with Wing Shooting Argentina right at the top. We had a fantastic experience; it was nothing short of phenomenal. 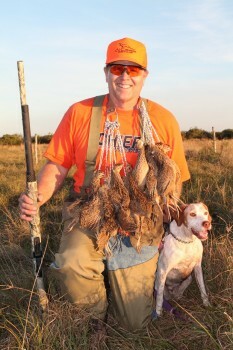 The hunting was a good as it gets, we enjoyed liberal limits for the ducks, perdiz and of course the dove and pigeon. It was just fantastic. The Estancia La Pelada was second to none, the service and food was fantastic. I don’t think it can get much better than this, although I have not been to that many estancias. From the moment we arrived we felt as if we were at home, which is a little bit unusually compared to some other lodges I have been to. At La Pelada, if I needed something out of the refrigerator, I felt like it was ok for me to walk in the kitchen in the middle of the night and get it. The lodge staff went above and beyond and your guides were all fantastic too. In fact we befriended the guides. So we felt like this was a family atmosphere and that is what I am coming for, it’s not just the hunting, it is the entire experience. We felt like you incorporated us into your culture and operation. The travel involved is worth it, although we did arrive tired. Maybe we could have stayed in Buenos Aries first. I have did that on my last two trips, and it really does not make that much of a difference. Before coming, we looked at not only your operation, but also places I had been before and other places we heard about. But once we spoke with you on the phone, we were very comfortable in booking with WSA. And I can tell you we looked at a lot of other places and our experience here exceeded our expectations. The booking process was very easy and accommodating with considerations for unique circumstances and specific requests. Very fair price and it was all excellent. We were mainly interested in ducks and perdiz and which you guys totally accommodated and adjusted the schedule to whatever made most sense. The last day we hunted ducks all day, which was not something we expected but worked out extremely well. And it was a lot of fun. We’d rotate between ponds so we knew you were trying to get the best shoots possible. You never feel like you are trying to over use an area. The guides were outstanding, just a lot of fun to be around. La Pelada lodge is kind of like a home, I mean, it’s not a resort. It is elegant but yet rustic and it’s the way you’d expect it to be. It’s not posh, but that’s nice and it is just a very comfortable situation to be in. And the host Augusto is extremely gracious. It’s like being in your best friend’s house. I will say that the difference between this trip and our last trip here in 06 was that we came home to family as opposed to the first time it was a unique experience that we loved and the second time it was just as good from an experience stand point but even more comfortable because you were dealing with the same people who remembered you and that made for a very positive experience. Our last trip we flew in and out of Santa Fe and this time we used the Goya Airport which as much faster. So getting to the lodge was easier. Plus since the ponds and fields are so close to the lodge, we never had a long car ride the whole trip. It was a very nice pace because you’d come back to the lodge mid day and take a nap if you wanted before the evening shoot. You really couldn’t ask for anything better. It was a little disconcerting returning because I did not think it could live up to our previous experience and our expectations. It was different this time, and better in a lot of ways just because it was like coming home to family. It was great. Just perfect. Wing Shooting Argentina is a lot of fun. These guys are very hospitable and we had an excellent time. The staff was ultra-polite, very gentlemen like, almost like stepping back in time to a different world. Kind of the way I wish the US was and probably was at one time. One thing that was unusual to me is the variety of birds. It does not seem like every particular pond has the exact same ducks. It was interesting in that in one area you were shooting a lot of different teal then only 4 miles away you were killing a lot of tree ducks or Rosy-bills. Very exciting. We had a lot of fun. Our dove hunting was off the charts, in standing milo and the doves were just pouring in. I wanted to stop at one point…thinking how many more can I possible shoot? It was great and WSA was great, the organization was phenomenal. 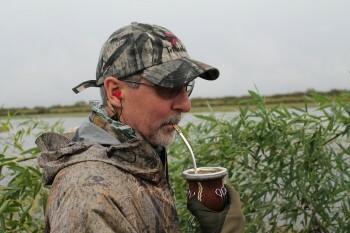 We went duck hunting every morning and hunted perdiz in the afternoon. We concentrated a little more on the ducks than we wanted because of the weather but it worked out great because it was so much fun. The guides did a fantastic job calling the ducks in. We had great dog work. We had great guide work. Fantastic food and great company. It is a wonderful place. I would do it again tomorrow if I could. Just want to say what a pleasure it is to work with you. It is very apparent to me that you are most interested in arranging a trip that is something we will long remember, and enjoy! I really appreciate that. Thanks very much! WOW! What a team you have put together for an outstanding experience for your clients! The whole experience from our original contact to final delivery to the airport has been stellar and exemplary. Your guide is an outstanding man and consummate professional guide and exhibits such depth of care for your clients. Thank you for the opportunity to meet and be associated with a man of his caliber for the week. The lodge experience was wonderful, as all needs and wants anticipated and met. What a fantastic experience; thank you for helping to make some of the hunting dreams of a kid come true. I look forward to our return and will do two hunting stints with time in between for regional visits. We very much enjoyed hunting and fishing with you guys, and thank you very much for hosting my father and I. We had an incredible time hanging out with you and Oscar, not to mention the dove hunting and Dorado fishing. I have already spoken to Jim about how nice of an operation you guys run, and how strongly I will be recommending you guys to our clients. My father had an exception time with you guys and wanted to extend the invitation to Jackson anytime you are in the area. I will be in the Bozeman office early next week, and will be sending you out an email with some good photos. I hope your trip down south went well, please say hello to Oscar for me, thanks for the pics, and my father says hello to both of you. Talk to you soon. The arrangements you made for us were just amazing. Oscar was amazing, Diego and Angles, were tremendous at Estancia, Don Joaquin, culturally, sporting wise, everything. Great! 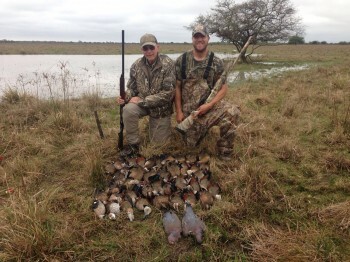 The dove hunting was outstanding. In 7 hours I shot 32 boxes of shells. My shoulder and cheek were black and blue and I was sore as hell. Even though the birds never stopped coming, I couldn’t shoot anymore. Incredible!